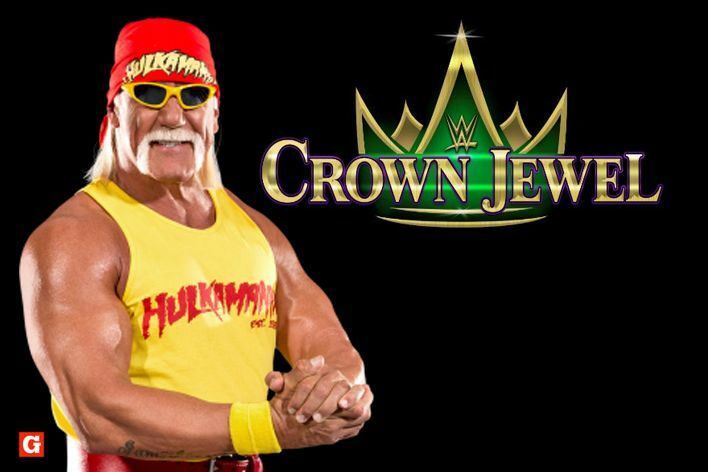 Irishman12 wrote: I hear Hulk Hogan is being advertised for Crown Jewel but WWE hasn't announced anything yet. While this could potentially be Hogan's first WWE appearance since he was blacklisted a few years ago, I think it's a bad idea having him at Crown Jewel, given the division over holding the PPV at all. – Seth Rollins vs. Dean Ambrose for the Intercontinental Championship. – Braun Strowman vs. Drew McIntyre. – Ronda Rousey vs. Nia Jax for the Raw Women’s Championship. Might as well have him over there. I think it is the only place he wouldn’t get booed out of the arena. That was awful. Lazy booking. Crap mathes. Shane!!!! chaeldub wrote: That was awful. Lazy booking. Crap mathes. Shane!!!! That's why I don't watch these. To me they're glorified house shows. Heard Shane won it and wondered how he did since he was never in the tournament? Not curious enough to actually watch though. 90% of the show was fudge and worse than a house show. The only match I remotely liked was Ziggler and Rollins. Shane winning the trophy was a big drymount you to the guys that actually work the shows, and what the hell does that get you? Miz is one of the hardest workers and deserved the win. Brock as champ again - boring. While I never wish injury on anyone if the HHH injury is a shoot, hopefully it gets us away from the Undertaker and Kane vs HHH and HBK again. It is just sad to watch them now. Though, I was impressed with HBK still being able to go after 8 years out of the biz. Overall it was mostly a bunch of matches we have seen 4-5 times and done better. Given that WWE should have canceled based on Saudi's attitude towards women and the fact that the crown prince had someone straight up murdered, the silver lining of the whole thing was they got a complete dumpster fire of a show. I turned it off after the Brock win, because I legit thought that was the end of the show. That's how uninterested I was in this horrible line up. Prior to the event, I heard Renee Young had to wear a hijab. I saw some pictures online and it looks like she was sans the headcover so that's progress I guess? In other news, WWE has a 10 year agreement with Saudi Arabia to the tune of $500 million. If during this agreement the WWE chooses to sell the company, Saudi Arabia has the right of first refusal, but reports indicate they're willing to pay $7 billion for it. Saudi Arabia would use the WWE worldwide reach to showcase the kingdom. i really dug that ending to RAW. BL is on fire right now and can do no wrong. 100% agree. I preface this by saying I don't watch RoH or NJPW, but, for my money, Becky and Ciampa are the two best things going in wrestling right now. becky with the broken nose. cotis wrote: becky with the broken nose. Yes! Like everyone else, loved the closing with Becky sporting her broken nose. Storyline wise, predictable and redundant. Just wait for tonight so Raw can "exact their revenge" against team blue heading in to Sunday. I hope this is wrong. Fightful is reporting that Becky Lynch suffered a concussion and a broken nose during the multi-woman brawl on Monday Night Raw this week, and she’s been pulled from Survivor Series due to the injuries. MJGallicchio wrote: I hope this is wrong. I pray not. Especially if she has to drop the title if this will be a prolong injury. This was really the only match I was looking forward to (maybe the Brock/AJ match as well) on an otherwise garbage card!